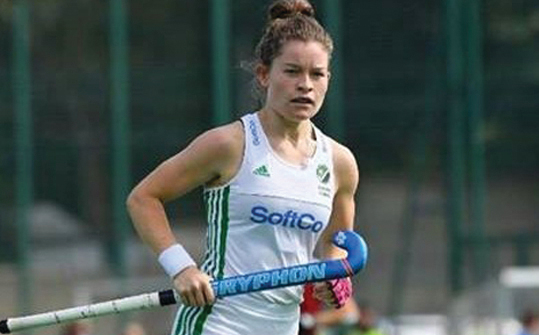 Irish women’s hockey international and DCU student Sarah Torrans expects to see a rise in interest in hockey in DCU this year. Hockey rose to prominence this summer at the Women’s World Cup, where the Irish team achieved their best ever finish earning them a silver medal. This came as a surprise to the country as well as the team itself. “It was always in the back of our minds to do well and to show everyone what we have, but to get a silver medal was a bit of a shock to everyone”, Torrans said. The team were given a civic reception outside of Dublin’s City Hall on Dame street on their return from the World Cup, an event that Torrans has fond memories of. There are also positive signs for the year ahead for DCU’s own hockey team, who were promoted to the cup after winning the plate at last year’s Intervarsities in October.